Not tested on animals. Suited for all races, ethnicities, sexes and ages. 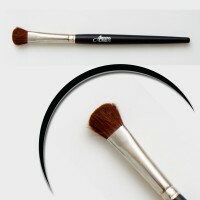 For contouring and defining the crease of the eye. 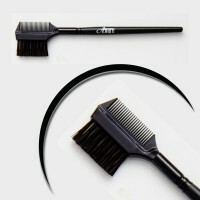 Made of squirrel hair. Small tip for precision detail work. Made of squirrel hair. 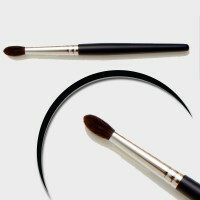 Dual-tip eyelash separator and brow groomer; made of soft synthetic bristles. 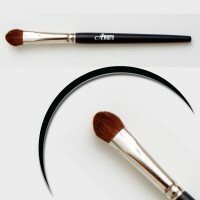 Checkout the hottest makeup trends. Perfect shades for any skin tone to create anything from a kiss of color to a bold accent. 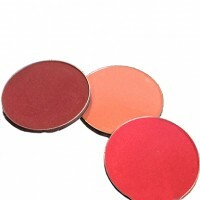 Blush pans can be put into customizable cases. 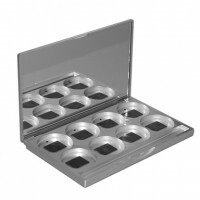 Design an 8-pan palette case with any eyeshadow or blush. 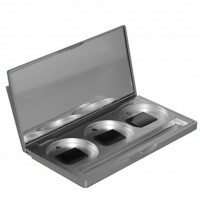 The empty silver case is refillable for favorited shades. 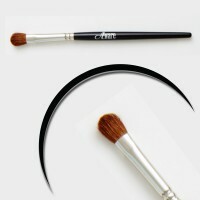 Contains one brush and a full mirror. Add any choice of eyeshadow or blush color. Print. Video. Television. Live Performance. Special Occasion. Bridal. Beauty Trunk Shows.